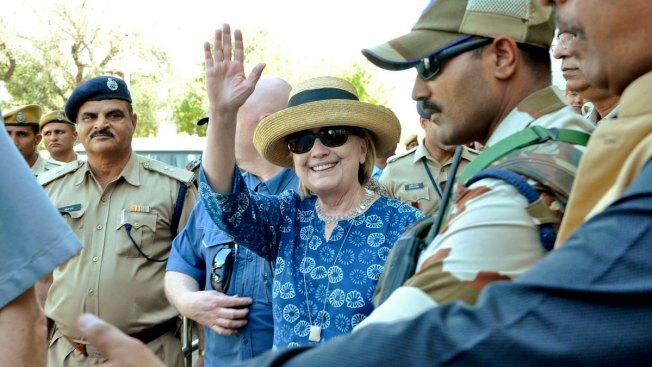 Clinton said the Republican president has "quite an affinity for dictators" and said Trump "really likes their authoritarian posturing and behavior"
Former U.S. Secretary of State Hillary Clinton, center, waves as she comes out of the Jodhpur airport upoon her arrival in Jodhpur, Rajasthan state, India, Tuesday, March 13, 2018. Hillary Clinton told an audience in India that the United States did not "deserve" Donald Trump's presidency and these are "perilous times." The 2016 Democratic presidential candidate spoke over the weekend at a conference in Mumbai. Clinton said the Republican president has "quite an affinity for dictators" and said Trump "really likes their authoritarian posturing and behavior." But she said she thinks it's "more than that" with Russian President Vladimir Putin and Russia. Clinton was critical of the reality campaign tactics of her opponent and questioned whether she should have provided more entertainment to voters who responded to Trump's brash style. 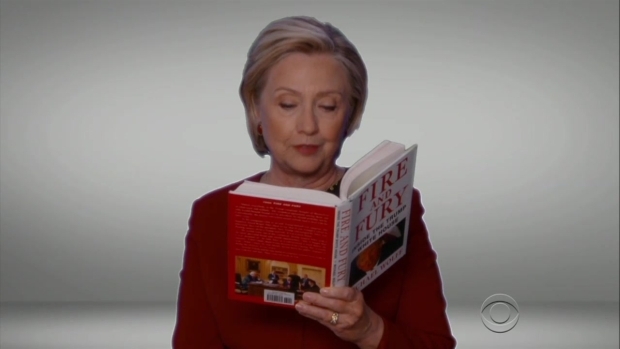 In a pre-taped skit, Grammy Awards host James Corden "auditioned" celebrities including former President Trump opponent Hillary Clinton to read passages from Michael Wolff's best-seller, "Fire and Fury." She also believes former FBI director James Comey's Oct. 28, 2016, letter to Congress about her private email server cost her support from white women voters.